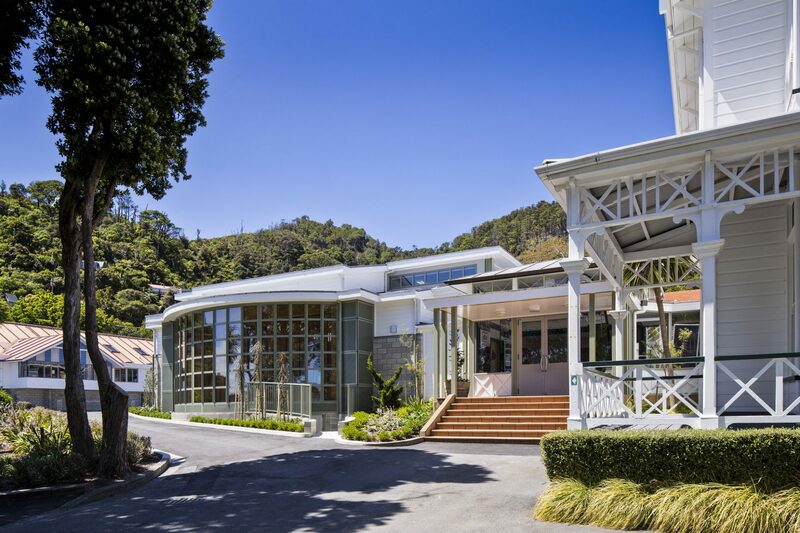 Wellesley College new hall is sited on the main school frontage adjacent to Days Bay House, whose colonial architecture is highly valued by the school, community, and Heritage NZ as a Category 2 listed historic place. 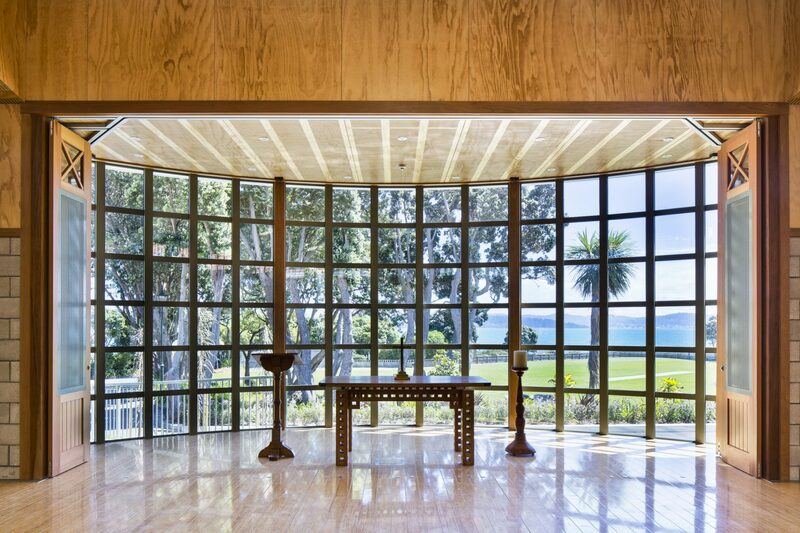 The new Hall is linked directly into the Days Bay House and is ‘layered back’ on the front elevation to the reduce the bulk of the hall whilst providing extensive interior views from the chapel out to Days Bay. 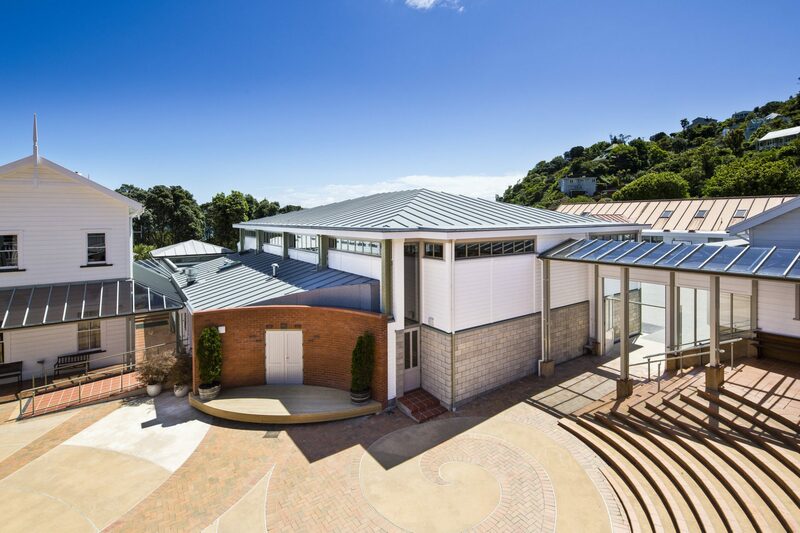 The project was physically constrained by a Resource Consent height restriction line across the site and the visual effect of the roofing on neighbouring properties overlooking the development. 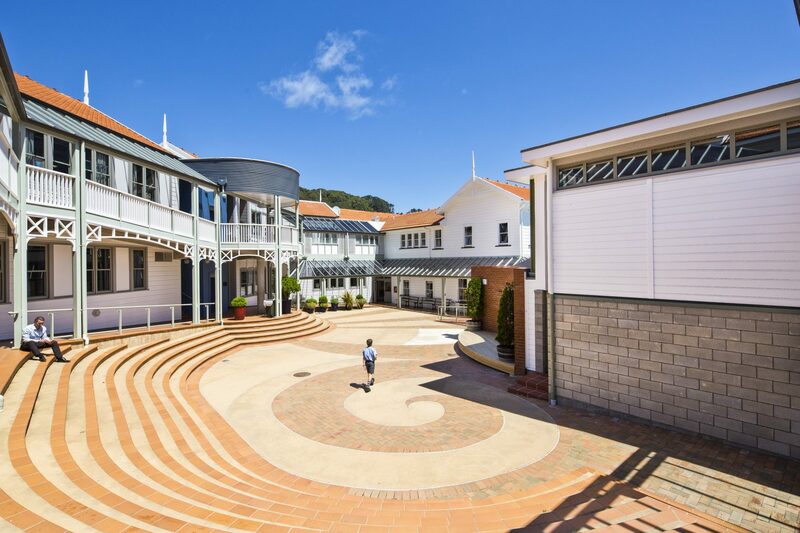 A reduced internal hall height and lower profile roof reduces shading to adjacent school buildings and the inner quad whilst reducing the mass of the overall building form. 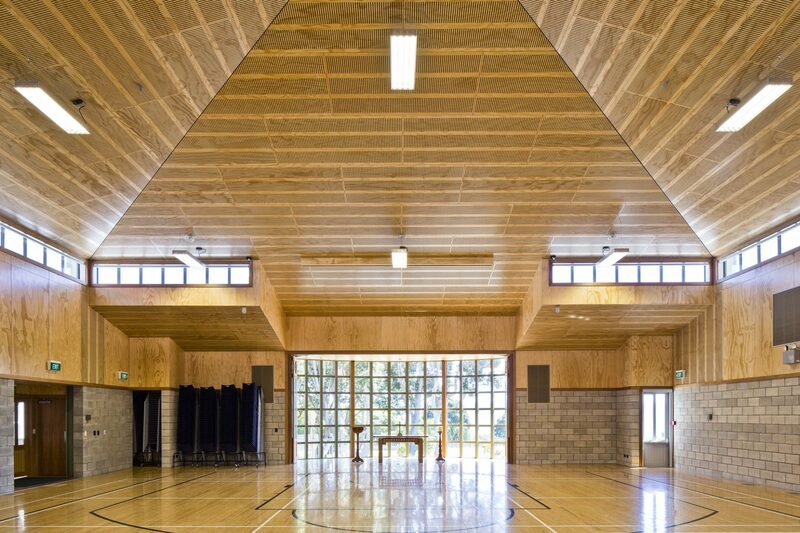 The new building will serve as a multifunctional hall, gymnasium and chapel. 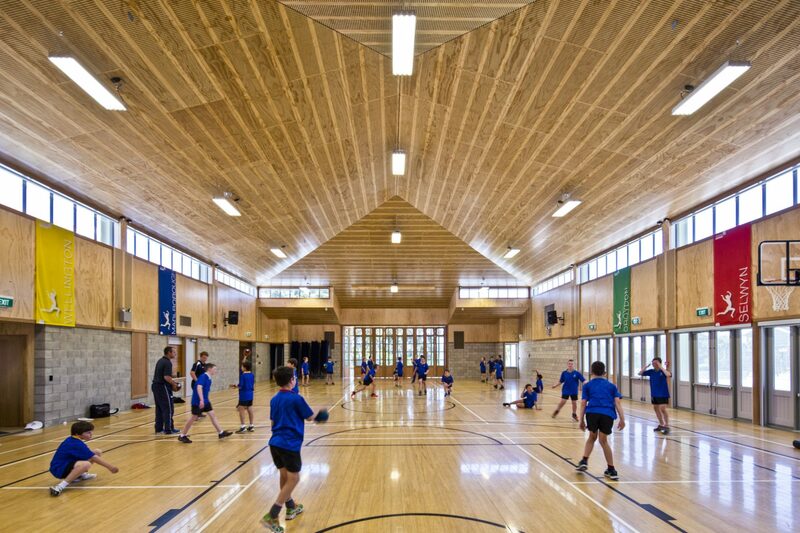 The gymnasium space provides a half size basketball court and 3 badminton courts complete with a sprung timber floor and will also cater for a variety of other indoor sports. 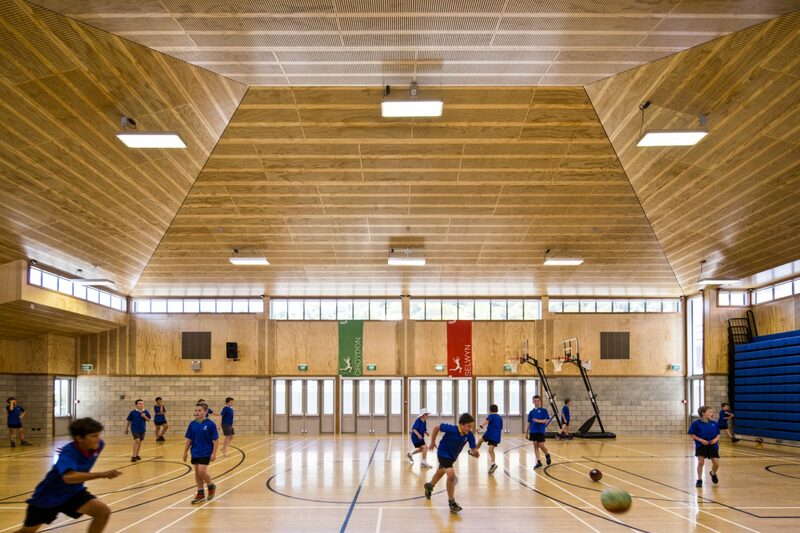 The Hall has also been designed to enable use outside of the school curriculum by the community and for private hire with a small fully functional catering facility. The Hall provides seating for the entire school and their families at school events with electronically controlled tiered seating. The design pays close attention to acoustic dynamics and includes high end audio and visual equipment specifications creating the perfect event venue for staging productions such as drama, conferences and concerts in a variety of staging formats.